So we’ve reached Christmas and it seems like now is a good time to take a look at the Os season to date. There has been a buzz around the Oxted 1st XI this season which can be traced back to the early stages of pre-season when manager Dominic Fitzmaurice announced the return to the club of goal scoring machine Jake Chart. Having played for the Os a couple of times in the past 2-3 seasons Jake quickly established himself a reputation for lethal finishing and this was no more evident in the Os pre-season campaign where Chart was scoring for fun, notching 11 goals before the opening day of the season, perhaps motivated by the promise from his teammates of a cash reward on scoring 30 goals in a season. A loss in the final game of pre-season bought the Os back to earth and prepared them well for a season’s opener against local rivals Godstone. The game was (as predicted) a well fought contest. However with the Os scoring at key moments in the game a 4-nil victory ensued with Chart notching a brace and university bound Toby Thomas and midfield dynamo Charlie Stagg also getting on the scoresheet. The Os consolidated their win with a further victory over early season leaders AFC Ewell in what turned out to be a real battling performance. Without quite reaching the levels of the previous week the Os found themselves 2-1 up going into the second half thanks to another Chart brace. With the game evenly poised the Os had Oli Beck sent off for a 2nd bookable offence leaving the Os half an hour to play with 10 men. The Os battled hard and thanks to some strong defending and a little bit of luck the Os held on for a 2-1 win. Harvey Chowler on his competitive first team debut enhancing his reputation with a mature performance in defence, following some strong performances in pre-season. Having acquitted themselves so well in their battling performance, what followed was a gut punch as a poor first half display saw the Os 5-0 down at half time against newcomers AMY. There was no miraculous recovery to take the game 6-5, however the Os did draw the second half 2-2 to restore some pride with Ben Connolly emerging from the bench to set up and score a goal to providing the light on an otherwise dark day for the Os. This was the first game the Os had played without Chart and but for a few early chances not put away the game could have been completely different. A regroup followed and once again back-to-back wins with Chart grabbing 6 goals and an assist in 4-1 and 4-0 victories against Crescent Rovers and AC Malden respectively. Skipper David Staines and Charlie Stagg grabbing the other 2 goals. Another swing in momentum followed with the Os once again on the wrong side of a 7-2 scoreline. This time against Billy Stagg’s old club Trinity, where the Os dominated the first half only for mistakes to see them in at the break 2-1 down. What followed can only be seen as an embarrassment as the fight went out of the Os and they capitulated, failing to find the spirit which had seen them through against AFC Ewell at the beginning of the season. Further losses against Chessington KC in the league cup and TFT South West in the league followed. The loss to Chessington KC was unfortunate as a battling Oxted probably deserved a draw, but some dubious refereeing and another bad performance against TFT saw the Os in a rut. The poor form did not last too long and the Os finally got a positive result against Merton Social with a 1-1 draw. Billy Stagg having tried desperately to get off the mark (especially against Trinity) finally scored to rescue a point for the Os after Merton were gifted the lead. The draw was a signal for the Os to really start performing and after a routine (just about) 3-0 win against bottom club Acts 29 (Ben Connolly once again staring) on one of the worst pitches the Os have played on this seasons the Os have started to really play some excellent football. In the final two games of the year the Os have played Abbey Rangers in the county cup and AFC Ewell in the league. Against Rangers who are effectively 2 leagues above the Os and riding high the Os produced one of the performances of the season, completely outplaying their higher ranked opposition and despite come from 2-0 down to draw 2-2 lost on penalties to go out of the cup. If the game against Rangers was one of the best performances of the season, the final game of 2016 was even better. Desperate not to lose their chances of challenging for the league just yet the Os knew they need a win against table toppers Ewell. The display that followed was league winning football as the Os ran out 4-0 winners matching their opposition blow for blow and even keeping a clean sheet in the process. Looking forward to 2017 the Os will need to maintain the intensity they have found at the end of 2016 and hope that they maintain their fitness levels better than last season where Christmas signal a run of games where they only picked up a handful of points before ending the season poorly. Finally I will finish this review with a quick summary of the Fantasy Football. Jake Chart leads the table with a massive 95points Charlie Stagg in second with 61 and Billy Stagg in third with 44. To put this in perspective, in the premier league FF which this is based on. Costa has 115points and Ibrahimovic 95points. When you consider that they have played 17 games to Jake’s 10 and I have not awarded bonus points to Jake’s score, a more accurate comparison would be Costa 101 and Ibrahimovic 87 Don’t let it go to your head Jake! The Os have kept 4 clean sheets only James Clough Oli Beck and David Staines (from midfield/defence) have featured in all of these. Jake Chart (striker) has also featured in all of these games. The Os goalkeepers Richard Seal and Chris Howard share these 4 cleansheets evenly. Finally a mention to Ben Connolly and Richard Seal. Ben has only started once and made two substitute appearances for his 24 points, whilst Richard has made 3 starts in goal for his 20 points (including 2 cleansheets). 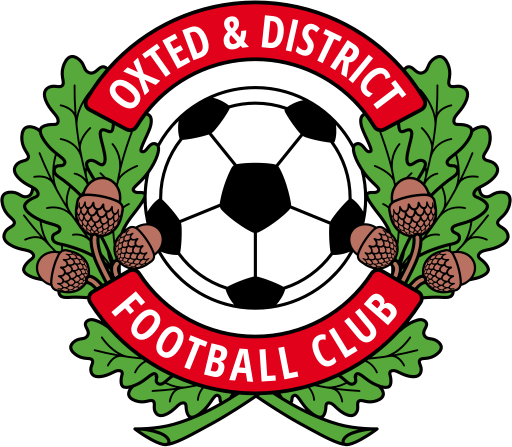 So the season is back with a bang and the Oxted 1st XI didn’t disappoint with a 4-0 victory over local rivals Godstone. Two goals from Jake Chart and singles from Toby Thomas and Charlie Stagg got the Os off to the perfect start.